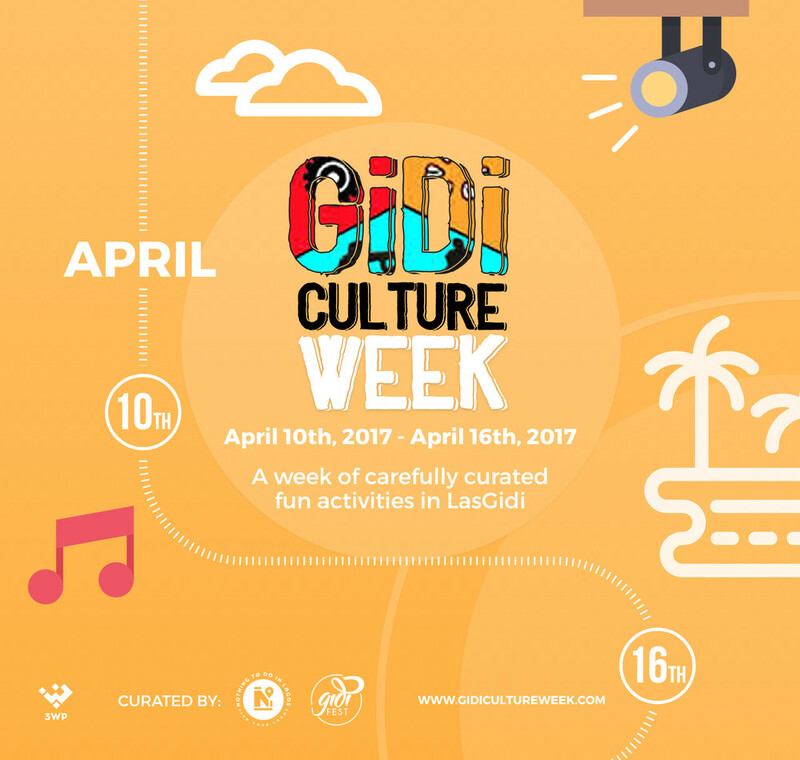 Date: Monday – Sunday, April 10 – April 16, 2017. 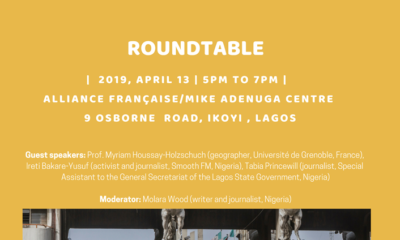 It is the 14th century in Lagos, the Slave trade is coming to a gradual slow end and two prominent families of Kosoko and Akitoye are slugging it out for control of the throne and by extension control of the lucrative but dying trade in Slaves. Time: 1PM, 3PM & 7PM. 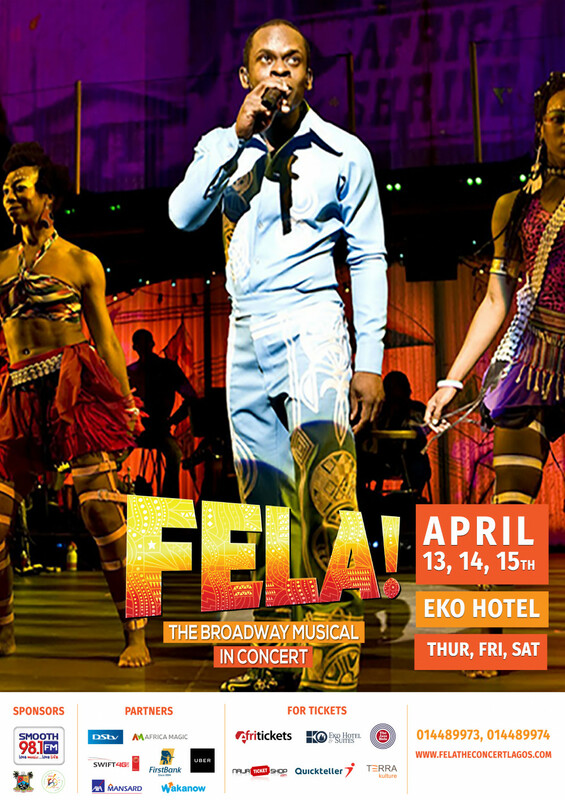 Consisting of a blend of Jazz, Funk, African rhythm and harmonies, the musical explores Fela’s controversial life as an Artist, a Political Activist and a Revolutionary Musician. 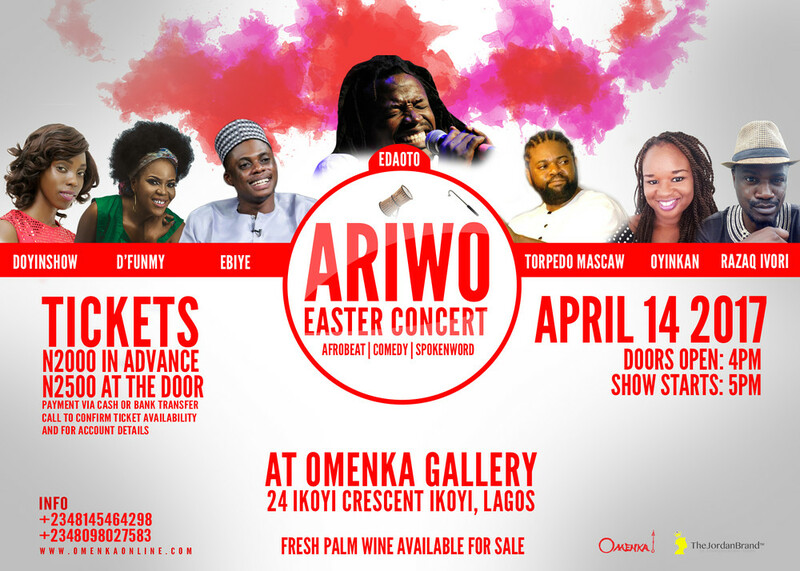 Tickets are available on: Felatheconcertlagos.com, Quickteller, The Naija Ticket Shop and AfriTicket, SMOOTH FM Studios, Terra Kulture, Jazz Hole – Ikoyi & Ikeja and Eko Hotel Lobby. 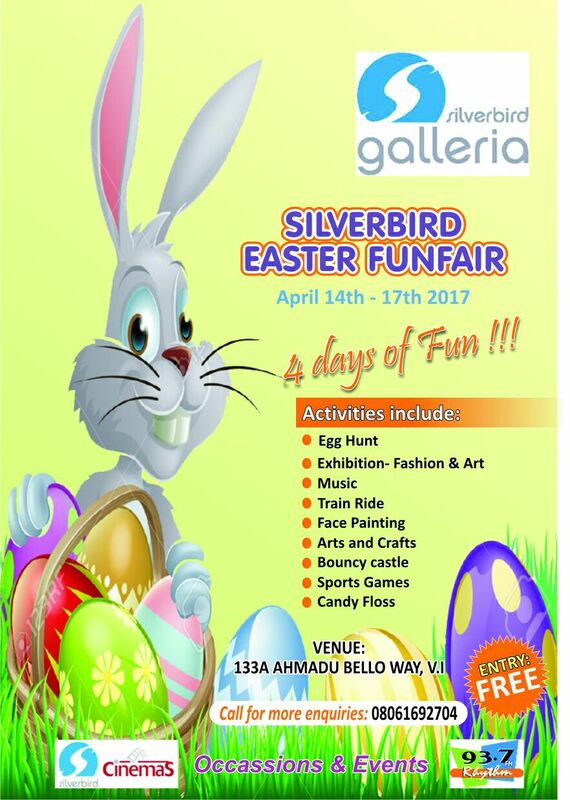 Music, Comedy, Easter Egg Hunt, Exhibitions Fair, Fashion & Arts, Sport Games, Train Ride, Face Painting, Bouncing Castle, Candy Floss, Foods and Drinks, A lots of Fun. Space Rental as low as N5,000 | Contact Detail: 08061692704. Entry is FREE! Remember the fantastic time you had at Interwoven stage play last December? This Easter, Metamoforces Media will be presenting another hit stage play, “The Bloody Affair” also written and directed by Gbenga Kuponiyi. 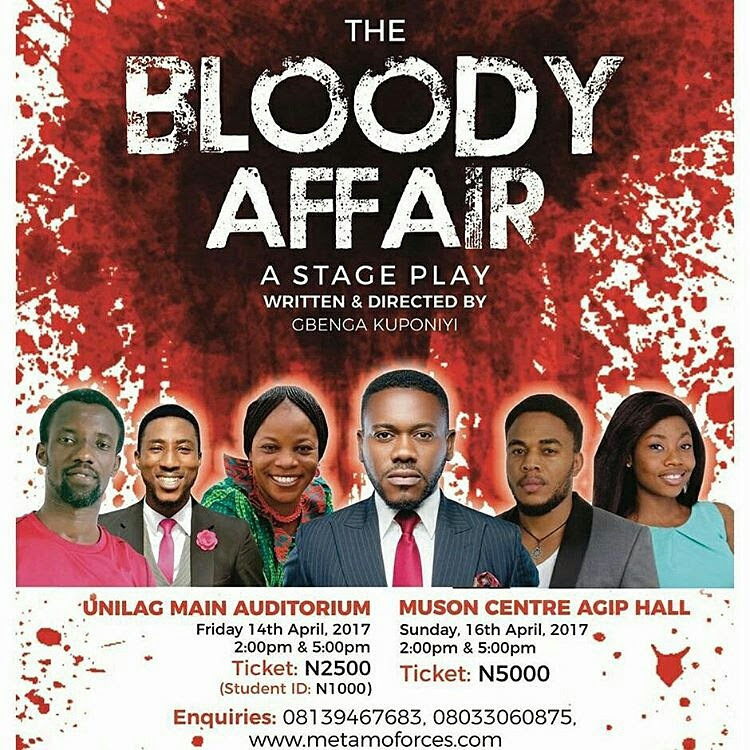 Venues: Unilag Main Auditorium (Friday) and Muson Centre Agip Hall (Saturday). 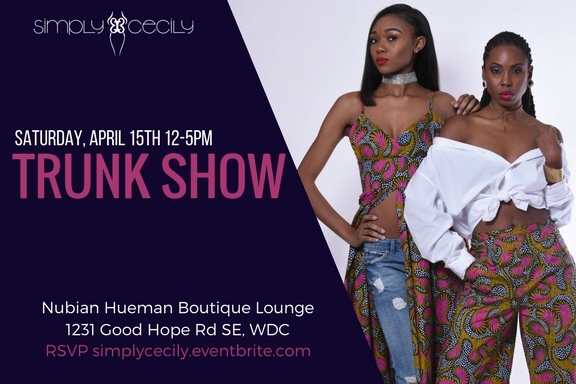 Venue: Nubian Hueman Boutique Lounge in the Anacostia Arts Center (1231 Good Hope Rd. SE Washington, DC 20020). 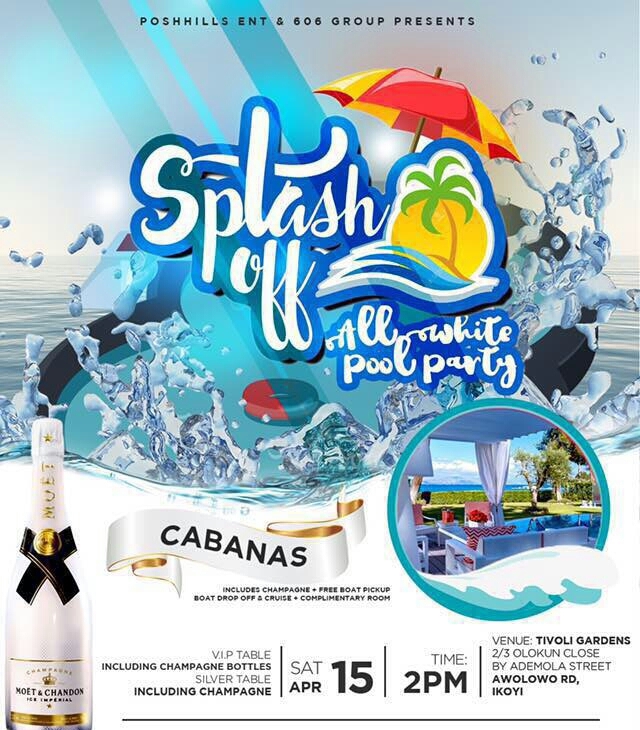 Venue: Tivolii Gardens 2/3 Olokun Close, By Ademola Street, Awolowo Road, Ikoyi. 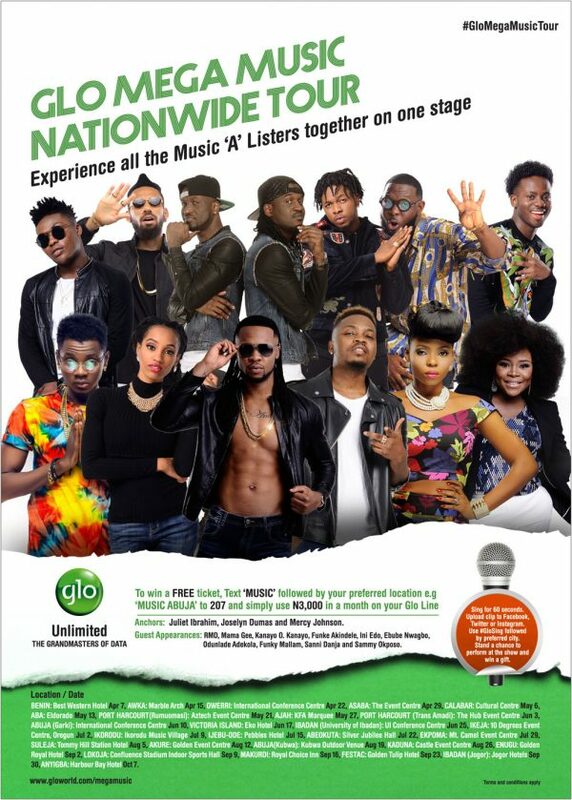 Olamide, Timaya, Runtown and Others Promise Nigerians unforgettable fun at the Glo Mega Music Tour in Awka this Saturday. 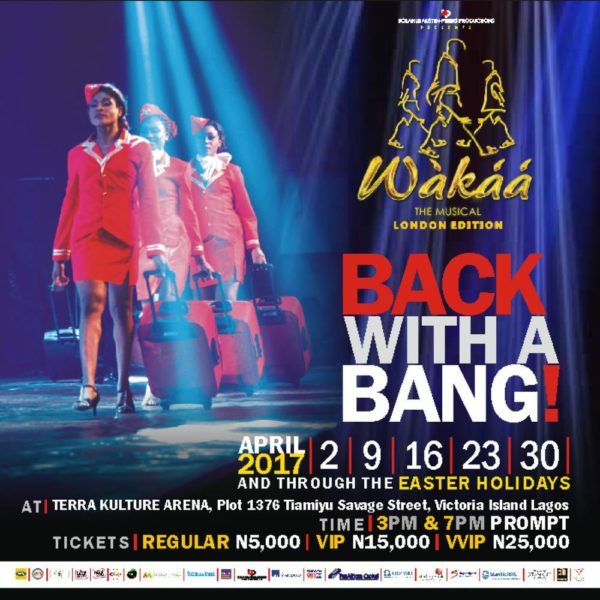 Get your tickets and get ready to experience the multiple sold out Wakaa! The Musical with your fun – loving friends and family. Venue: Terra Kulture Arena,1376 Tiamiyu Savage Street, off Ahmadu Bello Way, Victoria Island,Lagos. Tickets: Regular N5,000 VIP N15,000 and VVIP: N25,000 are on sale now at Terra Kulture Arena. 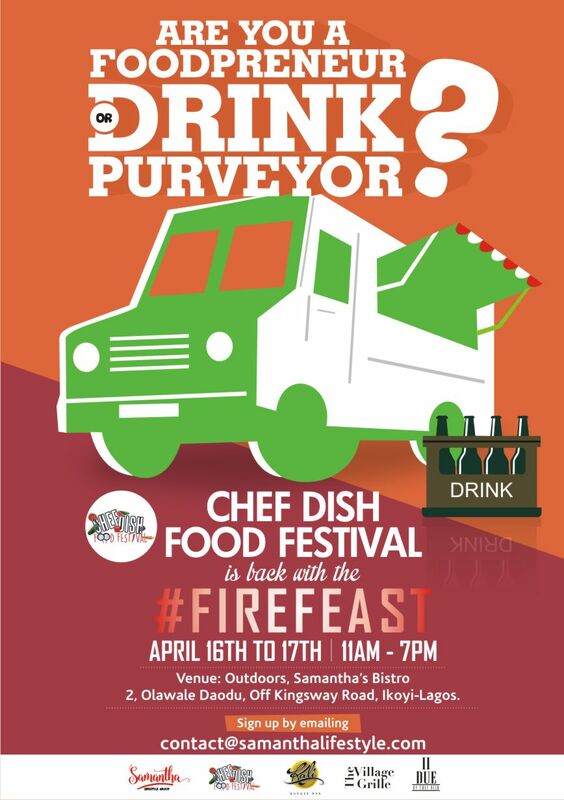 I would like to introduce the Chef Dish Food Festival coming in April over Easter weekend. From April 16th to 17th, Outdoors at Samantha’s Bistro. 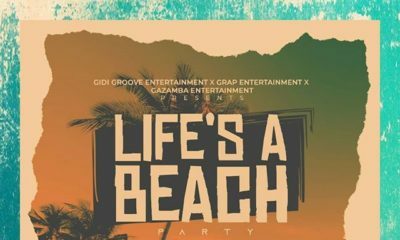 It promises to the be lifestyle event for foodies, with great food, entertainment, live cooking by Chef KD, Chef Nylah, Chef Dumebi and more. 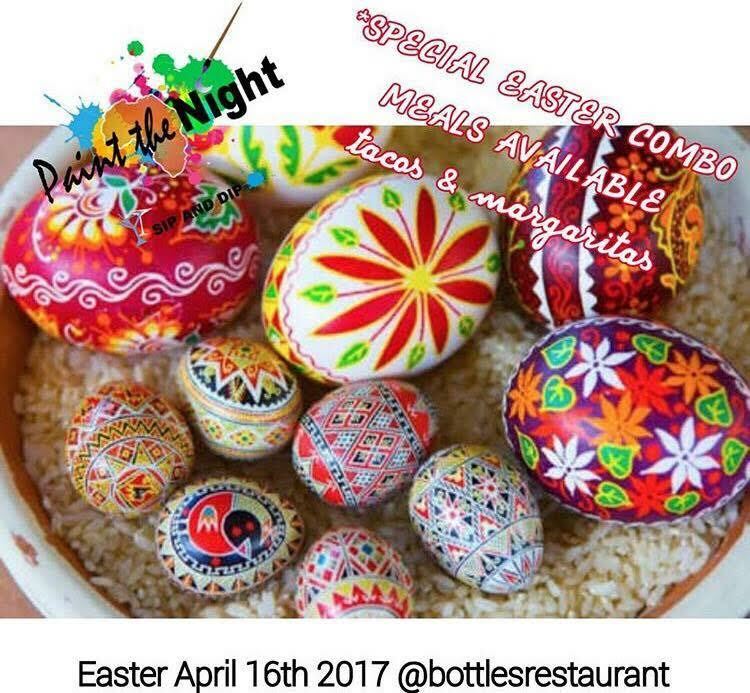 Dates: Sunday – Monday, April 16 to 17, 2017. 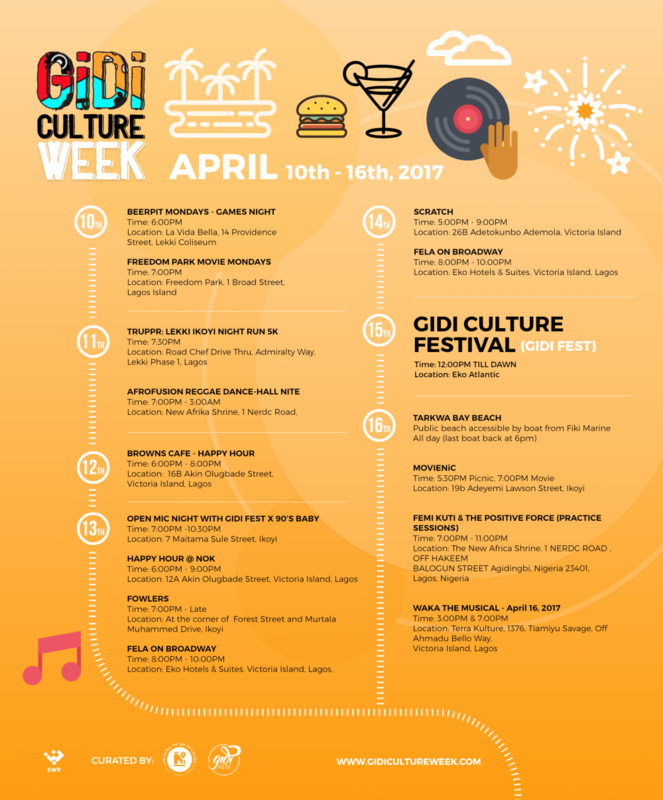 Venue: Samantha’s Bistro, 2, Olawale Daodu, Off Kingsway Road, Ikoyi, Lagos. 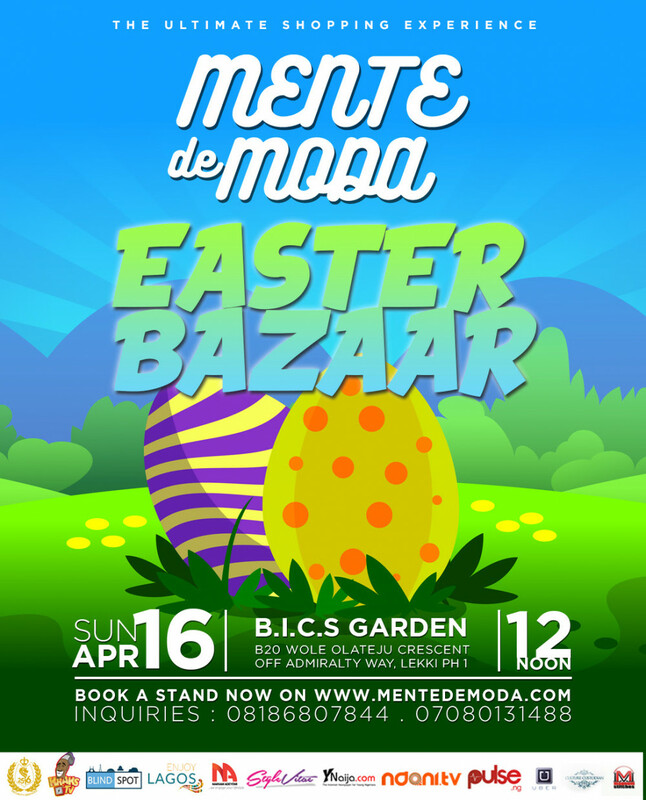 Easter is almost upon us and so is the next edition of your favourite outdoor shopping experience Mente de Moda! There are so many exciting things happening this edition, so scroll down for a quick recap and all the information you need before Sunday. 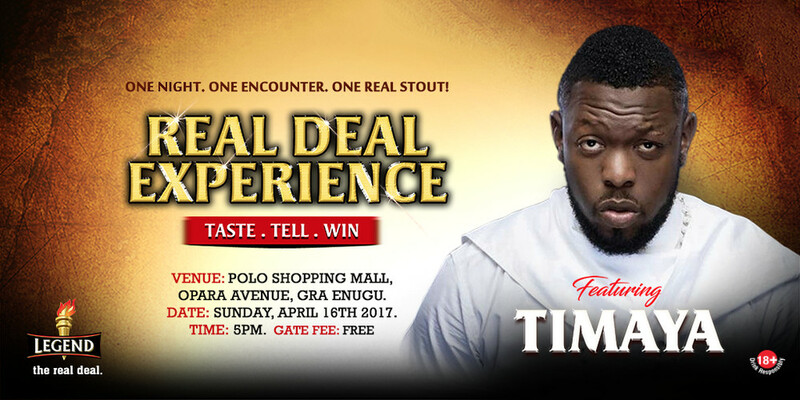 If you’re in Enugu this weekend, you don’t want to miss Legend Extra Stout’s Real Deal Experience stop in Enugu. 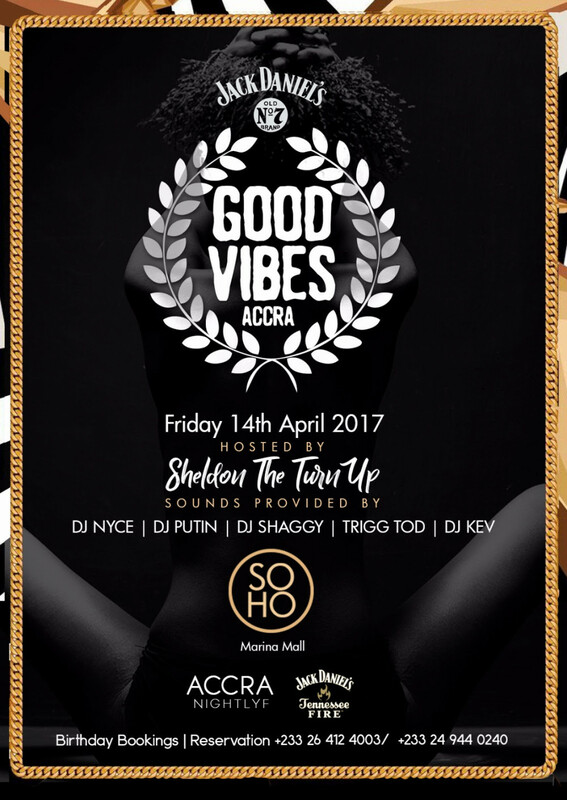 The event will feature dancehall king Timaya, live band Tipsy Kelvano and comedian De Don. Venue: Polo Shopping Mall, Opara Avenue, GRA, Enugu. 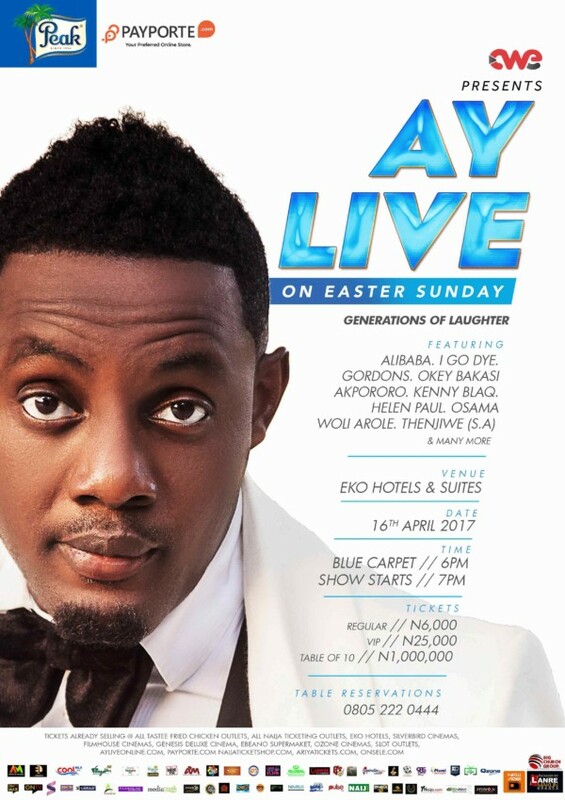 AY Live on Easter Sunday is here again, and this year’s edition is themed #Generationsoflaughter. 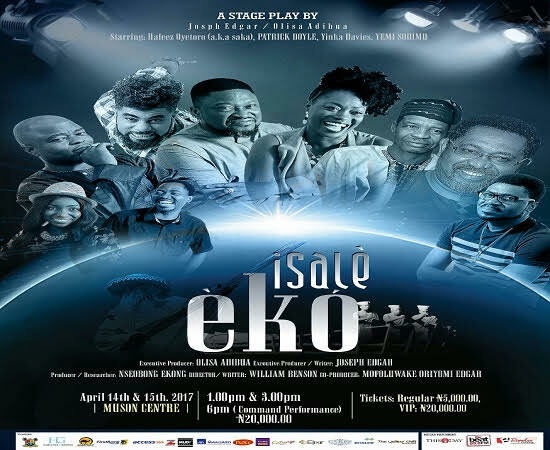 It promises to take you to the height of laughter and entertainment with rib-cracking Comedy by I Go Dye, Okey Bakassi, Gordons, Akpororo, Kenny Blaq, Osama, Helen Paul, Woli Arole, Thenjiwe from South Africa, and lots more. Date: Sunday, April 16th, 2017. 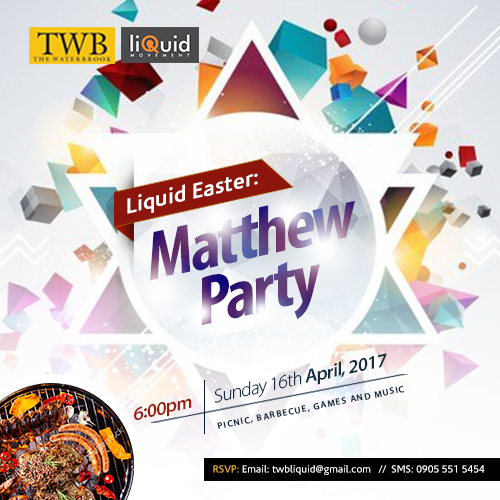 The Waterbrook Church’s (TWB) Liquid movement will be having Matthew Parties for its Liquid Easter at locations including Lekki 1, GRA Ikeja, Glover Ikoyi, Banana Island Ikoyi, Surulere, Badore Ajah, Chevyview Estate, Chevron Estate, 1004 Victoria Island. 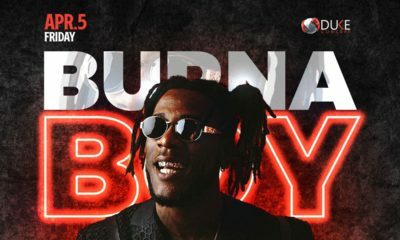 Every venue promises to be LIT! 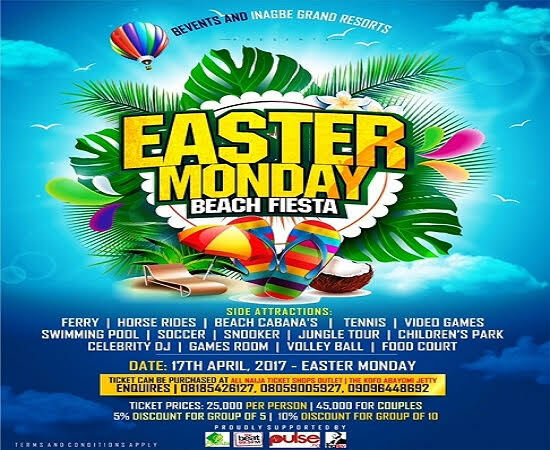 Bevents and Inagbe Grand Resorts Present Easter Monday Beach fiesta! Side attraction: Ferry, Horse Rides, Beach cabana’s, Tennis,Video Games, Swimming Pool, Soccer, Snooker, Jungle Tour, Children’s Park,Celebrity DJ, Games Room, VolleyBall, Food Court. Pick up Ferry will be on a rotation time of 10am, 10:30am, 11am, 11:30am and last ferry to go is 12noon. Guests buy food at the venue, No food allowed. 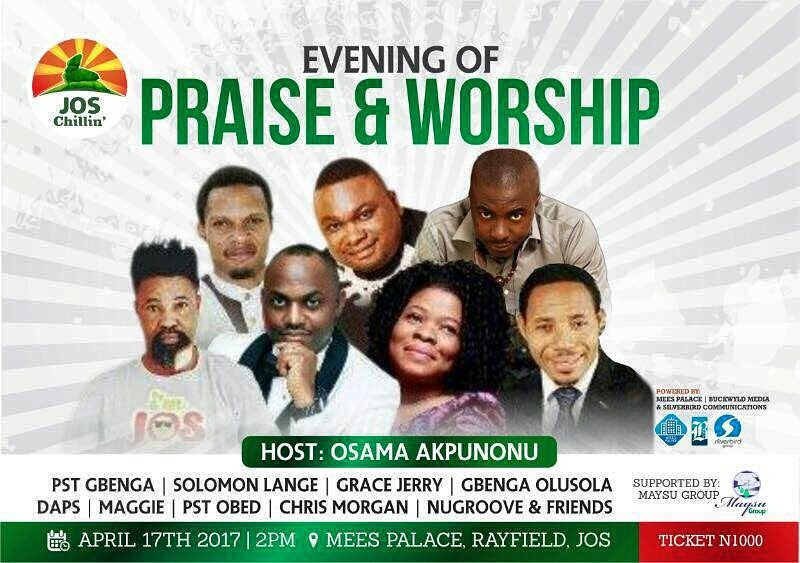 After lightening up the city of Jos last year with a sequence of exciting and unforgettable events and activities, Jos Chillin’ makes a spectacular return with “Jos Chillin’ Evening of Praise & Worship” in celebration of Easter. #BBNaija’s Marvis Says a Big Thank You to all her Supporters and Fans!